All Cheoy Lee yachts for sale worldwide are listed below, scroll down to view them. Cheoy Lee, meaning “profitable” and “well-run” in Chinese, is a shipyard located on the Pearl River in Doumen, southern China. Perhaps one of the most diversified shipyards, Cheoy Lee builds vessels in an unusually broad range of materials: steel, aluminum, fiberglass, and carbon composite. As per their heritage, Cheoy Lee shipyards is committed to time-honored traditions of excellence and their greatest strength derives from the shipyard’s capabilities in engineering. With over 5,000 hulls built in the past 70 years, the depth of their experience covers motor sailers, trawlers, sport fishermen, motor yachts, and mega yachts; but also tugs, ferries, supply vessels and patrol boats. 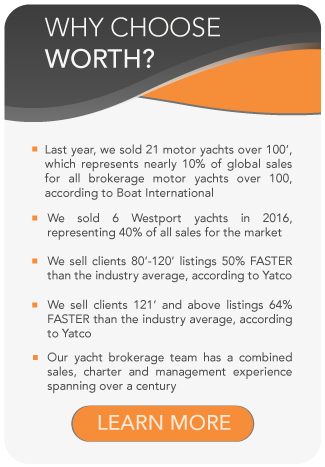 Cheoy Lee’s largest market is the USA and is best known for their 61foot / 19meter to 106foot / 32meter motor yachts. Cheoy Lee began by the Lo family, as a building and repair yard for steam-powered craft at Po Tung Point, Shanghai in 1870. In 1936 the family business moved to the British colony of Hong Kong. Initially specializing in the production of powered cargo vessels to outrun the Japanese blockade, by the mid-1950’s Cheoy Lee had diversified into the production of teak sailing and motor yachts, mostly built for export to the USA and for British expatriates in what was then the British colony of Hong Kong. Many teak sailboats designed by Arthur Robb and other notable designers of the era, are still sailing today. Cheoy Lee was one of the pioneers in the use of fiberglass yacht construction in the early 1960’s, which began to replace the traditional teak motor and sail boats that the company produced at that time. By the mid 1960’s, 90% of Cheoy Lee production was pleasure craft, primarily for the American market, although the commercial craft division also continued to grow. In the early 1960’s Cheoy Lee established the Panny’s Bay site on Lantau island, at the western end of Hong Kong’s Victoria Harbor, while maintaining a smaller yard and head office in Kowloon. As one of the pioneers in the development, testing and use of fiberglass construction techniques, Cheoy Lee phased out wood construction soon thereafter. They advanced in fiberglass technology to become a forerunner in the marine use of GRP/foam sandwich construction. In 1977 Cheoy Lee built the world’s largest molded GRP yacht of its time, the 130foot / 40meter motorsailer, Shango II, and by 1979 the first all foam cored production motor yacht came on line, the Cheoy Lee 48foot / 15meter Sport Yacht. This model also became the series of patrol boats in Australia. Other than on a strictly custom basis, Cheoy Lee stopped building sailing yachts in 1990 to concentrate on large Motor Yachts. Because the USA is the largest pleasure craft consumer for Cheoy Lee, in 1995, they opened an office in Fort Lauderdale. In 1999, Cheoy Lee moved from their long term Lantau Island production site (now the site of Disneyland Honk Kong Resort) to a new and sophisticated facility on the Pearl River in Southern China, while still maintaining the smaller yard and head office operations on the Kowloon peninsula in Hong Kong. Since then the Pearl River facility has seen three major expansions, and is now more than twice its original size. The 28acre facility includes a 1,000ton railway lift and a 150ton Travelift. Cheoy Lee continues to be managed by members of the Lo family, 4th and 5th generation descendants of their forefathers in Shanghai. Capable of producing vessels in excess of 200 feet, the new yard promises to keep Cheoy Lee in the forefront of shipbuilding for generations to come. Cheoy Lee is one of the few yards in the world to routinely build in steel, fiberglass, aluminum and various combinations of these materials, for both pleasure and commercial applications. An example of this is the 147foot / 45meter motor yacht Marco Polo that has a steel hull, a fiberglass composite superstructure and carbon fiber beams and girders. Cheoy Lee builds to globally recognized standards, regulations and major classification societies including Lloyds, ABS, Bureau Veritas, DNV, RINA, and CCS, and the company complies with recommendations of the American Boat and Yacht Council (ABYC).